Please note the based on local tax laws, all Argentinian citizens and resident foreigners must pay an additional fee (VAT) of 21%. Only foreigners who pay with a foreign credit card or debit card are exempt from this 21% additional fee (VAT) in accommodation and breakfast when presenting a foreign passport or a foreign ID along with a supporting document handed by the national migrations authority, if applicable. 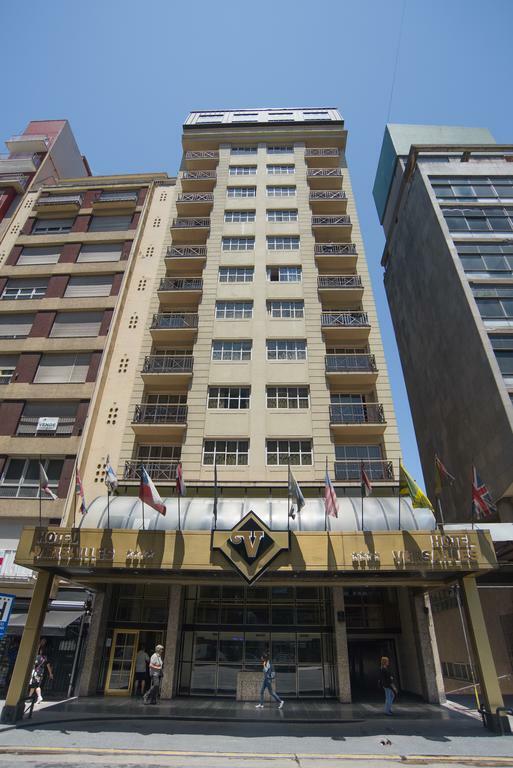 The rooms are equipped with modern furniture and everything you need to enjoy a stay in Mar del Plata a few steps from the main recreational and commercial centers of the city. 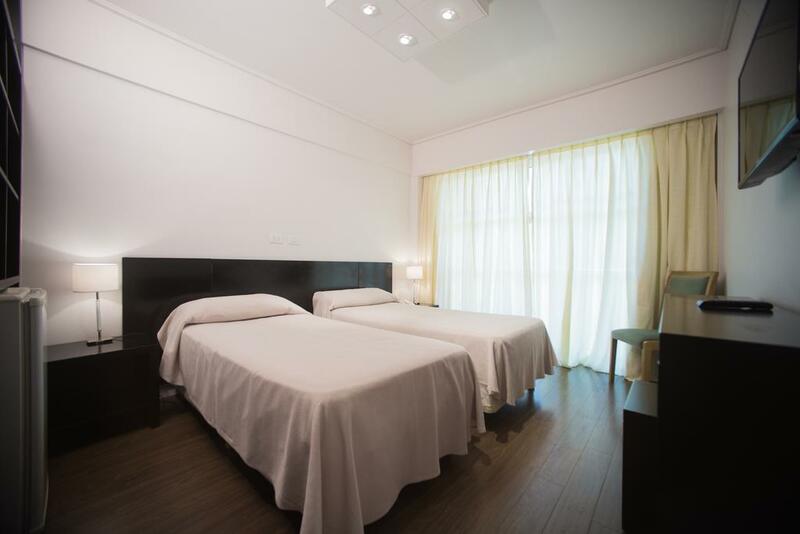 Guests have the possibility to choose whether they want a double bed or two single beds. The breakfast buffet includes a wide variety of cakes, croissants, bread, hams, cream cheese and butter. Also fresh and herbal drinks such as juices, yogurt, coffee, milk and teas. At breakfast there are staff responsible for cleaning the room and attend some special requests from guests. Special menus are prepared at passenger request. 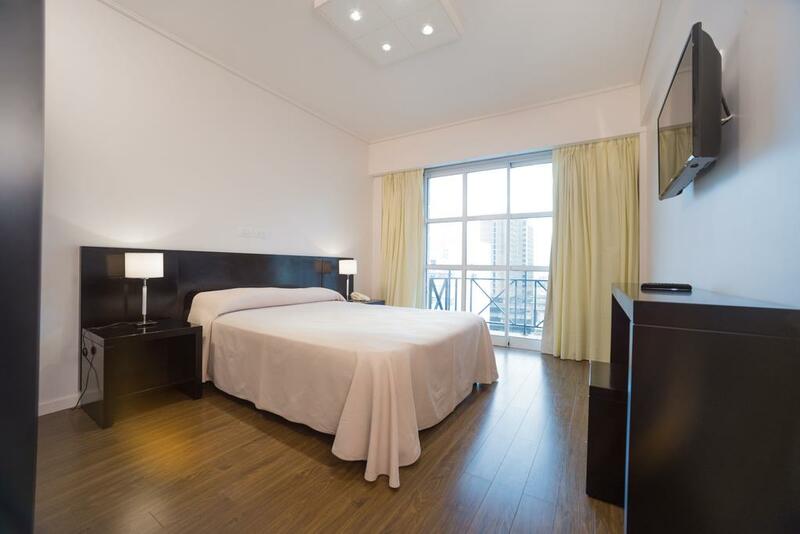 The rooms can have different views, they can be in front with or without balcony, side or back, subject to availability at the time of booking and allocation. 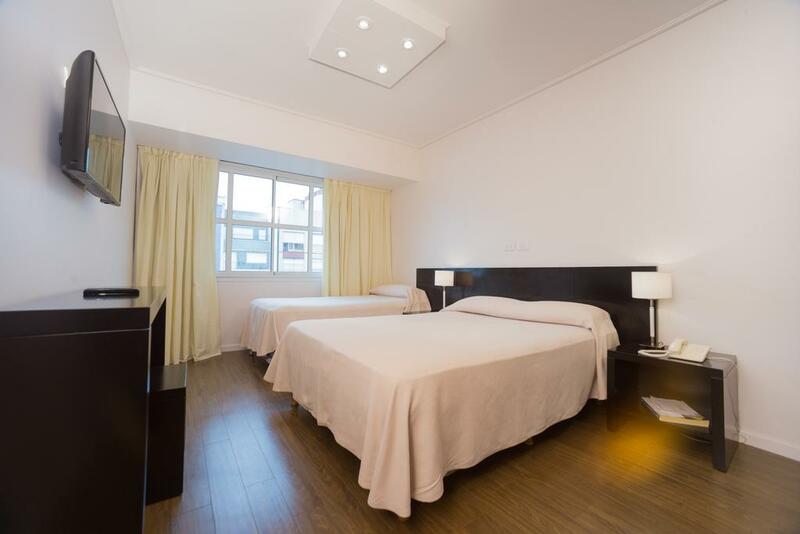 The rooms have modern furniture and are equipped with everything you need to enjoy a stay in Mar del Plata a few steps from the main recreational and commercial centers of the city. Guests have the possibility to choose whether they want a double bed and a single bed, or three single beds. The rooms can have different views, they can be in front without balcony, side or back, subject to availability at the time of reservation and allocation. Two large bedrooms with modern furniture separated by a hallway and a bathroom. Guests have the possibility to choose whether they want a double bed and two single beds, or four single beds. The breakfast buffet includes a wide variety of cakes, croissants, breads, cold meats, jams, spreadable cheese and butter. Also fresh drinks and infusions like juices, yogurt, coffee, milk and varieties of tea. During breakfast there are staff in charge of cleaning the room, serving coffee and taking care of some particular requests of the guests. In addition, menus for coeliacs are prepared if the passenger requires it. The rooms can have different views, they can be in front with balcony or quiet part of the building, subject to availability at the time of reservation and assignment.